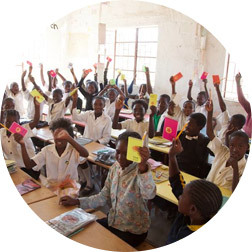 Nayamba School is a community primary school for children in rural Chisamba, Zambia where children who previously could not go to school due to distance and expense are now getting a first rate education. 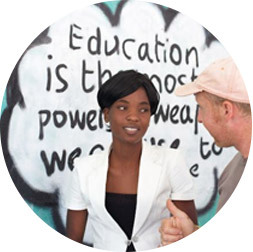 Education is a gift we can give that will have the most far reaching impact on any community. We are a charity that is passionate about ensuring Nayamba School provides the best standard of education for free for all its pupils. 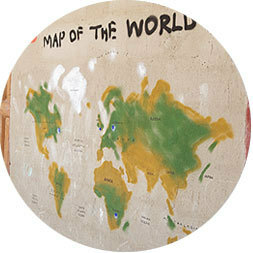 Since 2012 we have been fundraising and sending teams to the school to help them achieve their hopes and dreams. Find out more about one of our recent and current fundraising campaigns, and how you could help us make a difference. We pride ourselves on our direct link so not only can you be certain that 100% of your money goes directly to make a difference but through our regular contact, updates and visits you will actually get to see the impact you have made. Whether you would like to help with our latest building project, provide children with a hot meal or help with our ongoing teacher salaries and resources, we have a donation package to suit you. Because we will not use any money on marketing, we rely completely on word of mouth, and we know this is a project people love to tell others about. There are lots of ways you can become a Nayamba Ambassador. Join us for one of our fundraising events, help us run an event or perhaps you could run one yourself. Why not carry out a sponsored activity? So far the school has been able to make a big difference in the community. Help us to complete our latest campaign.